There are two horoscopes to look at for Iraq. 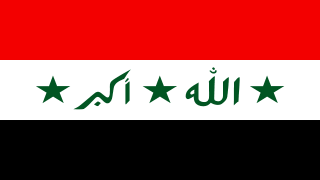 The chart for the Republic of Iraq shows some interesting aspects. The January 2011 Solar Eclipse was opposite the Part of Fortune. The February New Moon was right on the Descendant (DC) which represents partners but also enemies of the state. The strongest aspect in that Republic chart is Moon opposite Saturn, and the Moon at the time of the attack was right on the Republic’s Saturn. Mars was also opposite the chart’s Pluto. The transits to the new Iraqi Government chart are even more stunning. Solar Eclipse conjunct North Node putting the focus on where this government is heading. The Lunar Eclipse and the Moon’s South Node are conjunct the government Venus, and square Uranus. Venus represent cash, in this case a lack off, and Uranus unrest and explosions because of this. One of our readers, Jan, actually asked a question the other day about “when the new Iraqi dinars will be reinstated / re-valuated”. The currency, and lack of money among the citizens sure looks to be highlighted by the transits at the moment. Even Venus in that explosion chart was conjunct the Government horoscopes Ascendant. This will be a continual problem for the life of this government because of Venus square Uranus in the chart. It’s crunch time now because the Lunar Eclipse, Lunar Nodes and Uranus are all hitting this square in the government chart. Oil is the source of money for Iraq. Neptune rules oil, so it’s not surprising to see this planet strongly aspected in the government chart. Neptune opposite the Vertex, and square the Sun. The Full Moon last week was opposite the Government Neptune, conjunct the Vertex. The Vertex in the explosion chart is opposite the government Neptune, conjunct the Vertex. The Vertex in the Iraqi Government chart is on a fixed star next to the royal star Regulus in constellation Leo called Adhafera “suicide poison, corrosive acids, liquid explosives, liquid fire, lying, stealing and crime.” . Professional Canadian astrologer, my mentor and sometimes critic, Axel Harvey, has stumbled upon an amazing chart which made him tremble. It is for the June 1 2011 Solar Eclipse, set for Baghdad. Just look at this! Neptune rising opposite Regulus on the Descendant, oil war. The eclipse itself is on the IC, the Nadir, a major upheaval. As far as the Neptune/oil connection goes, how would you relate this to Chiron in Pisces energy? Hi Susan, I pay more attention to the aspects than to the signs. I understand the symbolism with Pisces, but I think this is more to do with Chiron being conjunct Neptune and Mars. Mars is the attack, Neptune the oil, Chiron definitely a gaping wound. Neptune has been conjunct Chiron for a couple of years now, including for the Deepwater Horizon oil spill in the US. When the country of Iraq was created- in that “natal” chart is there anything pointing towards collaboration or cooperation between various groups? or for smaller independent more homogeneous nations? Most of the countries in the Middle East were created after WWI. The last consideration seems to have been about the peoples living there. It was more about balancing out various national interests in the West; especially between France and England. But the cosmic law is beyond the affairs of men and it seems there must be indications in the stars (similar to the Oracle in ancient Greece- don’t wish to get into Ancient History) but am very much looking for new formulations to be in tune with all the changes seeming to be indicated by the star formations as projected over the next 30-40 years. Well for international partners we’d look at the Descendant, and for the current government that is sextile Saturn, the father figure. Makes sense that the government now is a project of the superpower. I think you’re right there Jim. Just added another chart to the bottom of the post. An astrologer friend stumbled on this, Solar Eclipse June 2011 set for Baghdad. I hope it doesn’t mean it will get worse like war? I saw on the news that the Iraqi prime minister gave his cabinet 100 days to fix things. That will take them to that solar eclipse. Jan, that eclipse chart set for Baghdad suggests more destabilization. The eclipse is on the IC, down the bottom of the chart, the base and the foundations. On the positive side this could represent rebuilding of the foundations of the country. Jamie , dude you are tuned in. Look at the Saturn op Jupiter at the end of March it touches Obama, Iraq War chart’s progressed Mars. Saturn is in heavy aspect at that time. The planets are in squares and opposition. A Red line chart. The Straits, Suez and Tamuz are super critical strategically and for trade and oil shipment. Those are areas to watch at this high tension time. Thanks for your info, I think. Scary just got scarier. Seems what happens in Iraq will have a big impact on his presidency. This fits with a comment I made elsewhere. I was questioning what the US response would be to an Iraqi revolution given its response to other revolutions in the Middle East. Hoist on its own petard, springs to mind for the US, because while it can support revolution in Tunisia and pretend to support it in Egypt (while hoping the military which was behind Mubarak remain in control), how can it support revolution in Iraq where the more then a dozen massive US military bases are a crucial part of its military footprint? 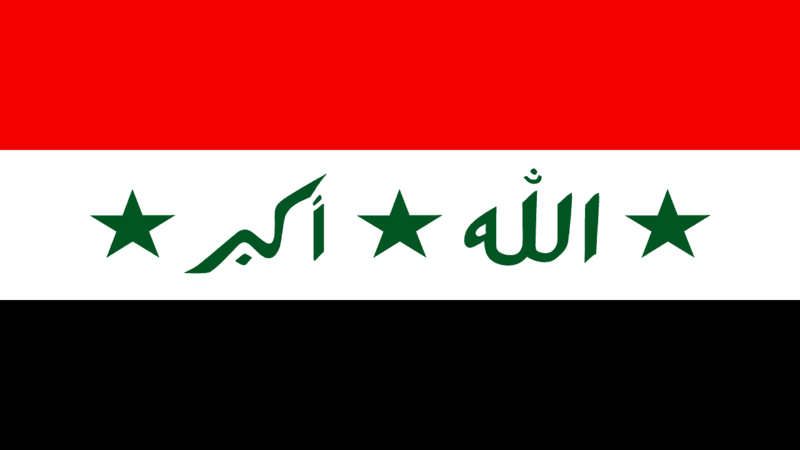 The US still occupies Iraq and the Iraqi government is no more than a puppet government… as the Iraqis well know… hence the resistance and perhaps ultimate revolution. An Iraqi revolution would mean dismantling all US military bases and the expulsion of all occupiers. The alternative is that the US uses its military power to put down the revolution. Having killed more than a million Iraqis already through invasion and occupation it is hard to see how the US or Obama could get away with it. A big impact on Obama’s presidence is an understatement. Well put. You’ve pointed out the hypocrisy the the responses of the US government to the various uprisings in the Arab world. No comment on the recent protests in Saudi Arabia either. However after a protest in Iran the other week, full scale US media coverage and official condemnation from the top of government. CNN even ran a headline something like “Iranian Revolution Imminent”, then it cited this statement to “a woman working in a Tehran hair salon who wishes to remain anonymous”. About 10 million Americans have invested in the iraqi dinar which was first circulated on April 1 1932..Any ideas when and if it might revalue? Many are expecting to make boatloads of money off of the ReVal….It has eveything to do with Iraq’s oil and resources. China is supposedly the one putting pressure on the currency to reval.Currently you can buy 1 million iraqi dinar for a little over 1000 USD. Jamie, this old post is fascinating. May I please ask in your view what you see coming regarding reinstatement/revaluation of the new Iraqi dinar now?